An Extra Helping of Calamari? Watch out. There are more arms, legs and tentacles in the oceans these days. The number of cephalopods (octopus, cuttlefish and squid) has increased in the world’s oceans over the past 60 years, say scientists at the University of Adelaide. Researchers from the University’s Environment Institute recently compiled an international database of cephalopod catch rates to see how the slippery squishy invertebrates are faring and across all global ocean waters; they seem to be digging the new marine environment normal. Scientists are considering what specific ocean changes may be contributing to the proliferation of cephalopods: global warming, overfishing or a combination of both. 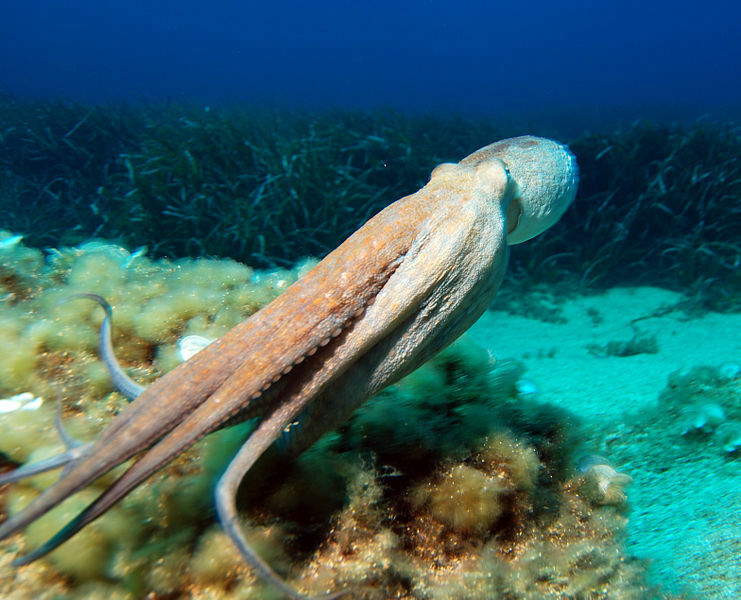 Cephalopods live in all marine habitats; they are both top-dog predator as well as prey for many other marine species – including humans with a taste for calamari.